Spinal cord injuries are particularly devastating to accident victims. Spine injuries affect the part of the body that controls movement and sensation, often resulting in paralysis, paraplegia, and quadriplegia. The law refers to spinal injuries as “catastrophic,” or injuries that result in long-term disability to the victim. There is no cure for spine injuries. About 17,000 new spinal injuries occur every year, not including those who die from these injuries at the scene of the accident. At Bentley & More, LLP, we’ve helped victims with permanent damage from spinal injuries due to slip and falls, workplace accidents, car crashes, and more. Let us help you protect your financial future after a serious injury. “Paralysis” refers to the loss of ability to move and/or feel sensation in the trunk and limbs. It can occur when something interferes with the ability to pass messages from the brain to the body. Traumatic damage to the spine can block these messages partially or completely, as can strokes and some illnesses. Victims of spinal cord injuries who suffer paralysis often need part- or full-time care. They may not be able to walk, stand, or perform daily tasks on their own. Paralysis is typically permanent, with improvements sometimes possible through extensive rehabilitation and physical therapy. Spine injuries result in paralysis below the point of impact. The higher up on the spine the injury occurs, the worse the prognosis. Damage to the high-cervical nerves (vertebrae sections C1 to C4) is the most severe level of spinal cord injury. This type of injury results in paralysis of the arms, hands, trunk, legs, and feet. Victims with this type of injury may require medical equipment to breathe, eat, and control bowel and bladder movements. Victims with high-cervical nerve damage often do not survive their injuries, dying instantly or from complications such as respiratory failure. Damage to the low-cervical nerves (C5 to C8) will affect the arms, wrists, and hands. Injuries to the thoracic spine (in the middle of the back) will affect the trunk. Injuries to lumbar nerves in the bottom of the spine can cause paralysis of the hips and legs. There are four main categories of paralysis after a spinal cord injury: monoplegia, hemiplegia, paraplegia, and quadriplegia. Every form of paralysis greatly affects the victim, resulting in damages such as lost capacity to earn and lost enjoyment of life. If someone else’s negligence causes paralysis, the victim can recover for these damages and others through a personal injury claim. There are many forms of paraplegia, with different symptoms and limitations. Spine injuries are unique because their effects differ from person to person, and sometimes day by day. Many paraplegics can develop a range of capabilities through physical therapy over time. Some will experience seemingly random outcomes and improvements. There is still much that remains unknown about spinal injuries and the potential for recovery. Proper treatment can affect the prognosis of paraplegia. Treatment may include surgeries, medications, physical therapy, exercise therapy, and psychotherapy. The effects of quadriplegia can change over time. Any prognosis for quadriplegia is merely a doctor’s best guess. The quality of care and prompt treatment can positively affect this spinal cord injury, as can certain therapies and exercises. Surgeries to address obstructions in the brain or spinal cord and to manage swelling may change the effects of the injury. Living with quadriplegia is difficult. It requires permanent live-in care, extensive medical equipment, doctor’s visits, and lifelong treatments. Car accidents. About 42.1% of spinal cord injuries result from motor vehicle accidents. Spine injuries can occur in car accidents if the forces the collision exerts on the body are too much for the spine to withstand. The neck and back can sustain serious injuries, especially if they collide with objects such as the steering column, dashboard, or even the seatbelt. In collisions between vulnerable road users such as bicyclists and pedestrians and vehicles, the impact can cause a spine injury if the car hits the back or neck of the victim. Slips, trips, and falls. Falls cause 26.7% of spine injuries every year. Falls can fracture, crush, or compress the vertebrae to the point of permanent damage. Falls from roofs, ladders, scaffolds, platforms, or down stairs can all result in spinal injuries. Falls are often preventable with safety equipment, personal fall protection devices, a safe premises, and other precautions. Falls in the workplace are the No. 1 cause of construction worker death, often due to fatal spine injuries. Violence. Violence contributes to about 15.1% of annual new spine injury cases. Acts of violence such as gunshots or stabbings can injure the vertebrae or sever the spinal cord, and result in a permanent spinal cord injury. If someone attacked you and caused a spine injury, you could pursue a civil case against the offender at the same time as an ongoing criminal case. A civil claim gives you the opportunity for compensation for your damages, while the criminal case punishes the attacker. Sports incidents. (7.6% of annual cases) Strong impacts on the sports field from other players, balls, or sports equipment can fracture the spinal cord and cause serious damage. While safety gear such as helmets and shoulder pads have reduced this type of injury, it does still occur around the U.S. Sports-related spinal injuries most often affect the C-spine. Football and rugby are responsible for the highest number of C-spine injuries. Since the banning of “spearing,” or using the head as the first point of contact for a tackle, in American football in 1976, the occurrence of these injuries has decreased. Medical and surgical injuries. Sometimes medical mistakes cause detrimental damage to the spinal cord. Risky procedures that involve the neck and back, such as spinal fusions, can run into complications that cause permanent damage. Failure to warn of risks, failure to identify foreseeable causes of spine injuries during medical procedures, or surgeon incompetence, may all constitute medical malpractice if they result in spinal injuries to the patient. The state of California currently has one of the lowest damage caps on medical malpractice compensation in the country – $250,000 for non-economic damages. Not all spinal injuries result from traumatic experiences or accidents. Some come from genetic disorders, autoimmune disorders, infections, tumors, oxygen deprivation to the brain or spinal cord, or strokes. Additional damage from traumatic incidents can occur in the days and weeks following a spinal cord injury. Bleeding, swelling, and inflammation around the spine can worsen symptoms and affect prognosis. No matter the cause of your spine injury, speak to an attorney about your legal possibilities in Orange County. The spine is the column of vertebrae housing the spinal cord, extending from the skull to the tailbone. The spinal cord carries signals between the brain and the rest of the body. Any wound to the spine can interrupt those signals, and the spinal cord cannot repair itself like the rest of the body. Spinal cord injuries often leave permanent damage including permanent function loss. The extent of the effects usually depends on the location of the injury on the spine. An injury to the lower areas of the spinal cord may lead to partial paralysis. Victims of lower spinal injuries sometimes lose the ability to walk or control bowel functions. A wound to the central area of the spinal cord may result in quadriplegia (the loss of the use of the arms and legs). A spinal cord injury close to the skull may leave the victim completely paralyzed. The effects of a spinal cord injury also depend on whether the injury completely severs the cord. A complete injury will totally cut the nerve connection between the brain and the nerve endings below, and the victim will lose control over the affected areas. With incomplete spinal injuries, victims may regain some motor functionality over time with extensive treatment. When spinal cord injuries happen due to negligence, the injured party can file a personal injury lawsuit against the responsible party. Personal injury lawsuits often involve several types of damages, and the damages in a spinal injury case are likely to be substantial. The plaintiff’s attorney will need to prove the negligent party owed the plaintiff a duty of care, violated that duty, and that the violation directly led to the plaintiff’s spinal injury. Medical expenses, including emergency medical transportation fees, hospital bills, ongoing treatment costs, and any necessary medical devices the plaintiff needs following the accident, such as a wheelchair or ventilator. Pain and suffering for the plaintiff’s mental anguish, physical pain, and emotional suffering after a debilitating accident. Property damage. If the defendant’s actions caused any damage to the plaintiff’s personal property in the incident in question, the plaintiff can sue for the costs of repairs or replacement. Lost income. Many people who suffer spinal injuries are unable to resume work for an extended time or permanently depending on the severity of the injury. They can sue for wages lost during recovery or for future wages they would have reasonably expected to earn in the future. Life after a spine injury is not easy. Medical expenses for spinal cord injuries can be astronomical. Those living with paralysis may not be able to return to work, but financial losses pale in comparison to personal ones. Spinal injuries are catastrophic, and wreak havoc on a person emotionally and psychologically. These victims can recover for intangible damages, such as emotional distress, mental anguish, physical pain and suffering, and loss of enjoyment of life. The Orange County courts will calculate these non-economic damages by assessing how much the injury impacted the victim’s life. Compensation for catastrophic and permanent injuries will strive to cover the individual’s injury-related expenses for life. Spinal injuries that affect a spouse, children, or other dependents may be eligible for additional compensation for their losses, as well. 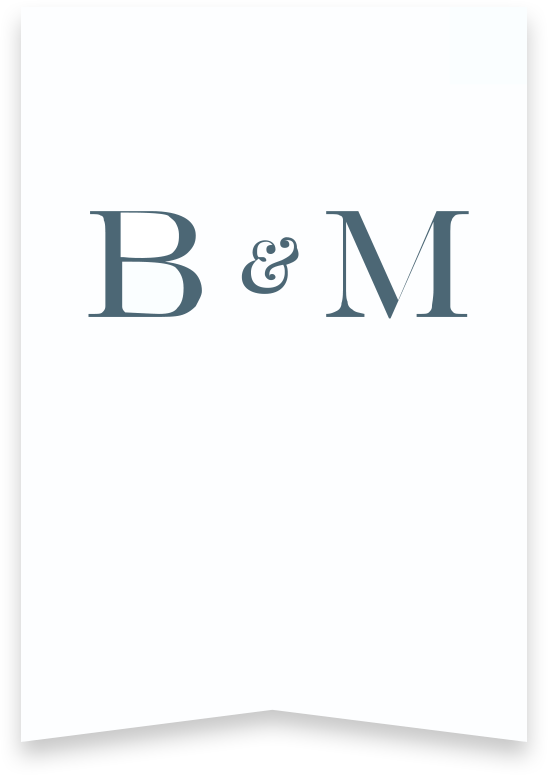 Our talented personal injury attorneys at Bentley & More, LLP, are exactly the team you need for these serious cases. Come to us for a free consultation about your spinal injury. Call (949) 870-3800 or go online.